The Catalans citizens who participated to the referendum on the first of October voted with an overwhelming 90 % majority in favour of a split from the rest of Spain. On the other hand, a big part of the population, over 3 million of Catalans voters, didn’t participate to the referendum that reached a turnout of just 42%. Despite some criticism on the use of force from Spanish police, it is undeniable that Catalonia itself is really divided on the matter and a secession from Spain would cause many consequences, namely on economic and social issues. 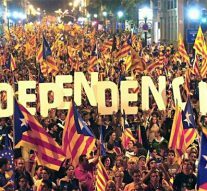 A firs point to be highlighted is that declaring independence from Spain would mean that Catalonia would have to leave the EU, which would inevitably cause issues around its membership of the EU’s single market. Barcelona could then renegotiate a new membership with the EU but certainly this process would take years causing many uncertainty. “The establishment of a border would result in a loss of jobs, income and wealth for everybody, whether they live in Catalonia or in the rest of Spain,” said Alain Cuenca, an economics professor at the University of Zaragoza, quoted by “CNBC”. Spanish Economic Ministry Luis de Guindos said that “the impact of secession and it would mean an impoverishment of between 25 and 30% for Catalonia and its unemployment rates would double”. “When a region of a euro zone country separates, it is immediately left out and all tariffs would be applied, it would be out of all EU trade agreements, which would have a very important impact on an exporting region like Catalonia, but they would also lose the euro as currency”, he warned. Financial markets and companies have started to fear about the economic consequences that would come if Catalonia declares independence. Banco Sabadell’s board of directors met to discuss the possibility of moving its legal seat out of Catalonia. In the meantime, drug company Oryzon announced a decision to relocate away from Catalonia, and telecommunications company Eurona announced that will move its headquarters from Barcelona to Madrid. As highlighted by many media, by moving their legal seats to Spain, banks can ensure that they’re still covered by mechanisms such as the European Deposit Insurance Scheme, which ensures that all deposits up to 100,000 euros are protected. On the other hand, for Catalonia becoming independent and most likely outside of the European Union means paying tariffs on exports to its main trade partners, including Spain. The new Catalan state would also already be in debt, as Madrid and Barcelona would have to determine what percentage of Spain’s sovereign debt Catalonia would inherit. But Pro-independence forces argue that an independent Catalonia would only face these economic difficulties for a short period of time. And they argue that gaining control of their taxes would put the new state in control of enough resources to deal with all the new challenges of an independent country, as Catalonia contributes more taxes to the state than it receives back. In the end it could be said that it is quite unexpected that an European city as Barcelona, in the heart of the EU and so symbolic of connection and free circulation for the “Erasmus generation”, now turns to be an element of division that worries Bruxelles. But fortunately, despite the clashes of the first days, now seems that Barcelona and Madrid want to keep the dialogue open avoiding to take decision in a rush. In this framework political and economic uncertainty is likely to continue, with the Catalan president Carles Puigdemont that on 10th of October said he “assumes the mandate” for an independent republic but asked for the effects of the declaration to be suspended in order to “enter into dialogue”. Now it has to be seen how this dialogue could concretely evolve with the irreconcilable stances in Madrid government and in Barcelona regional parliament. Maybe it will be up to the EU to take a stronger role of mediator in this dispute in its internal borders.